* 2. Which age range applies to you? * 3. 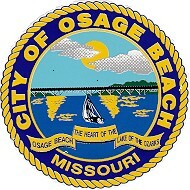 Osage Beach Parks and Recreation (OBPR) currently offers adult slow pitch leagues all season, fishing clinic in the spring, and youth baseball/softball leagues in the spring. Please indicate your interest level in the following programs/activities being added to the opportunities offered through Osage Beach City Parks and Recreation? * 4. Please briefly describe any programs/activities that were not identified in this survey that you would like to see provided through OBPR.